The International League of Antiquarian Booksellers (ILAB) has initiated an Internship Program to help young dealers widen and deepen their knowledge and plug into the worldwide network of rare book dealers. The two current interns, Alena Lavrenova and Anastasya Zhikhareva, got their Master degrees at the Moscow State University of the Printing Arts. Alena is now writing a thesis about the history of ILAB while Anastasya is working at an auction house in Moscow. In May they spent four weeks in Austria, Hungary, Germany and the Netherlands to work for and learn from antiquarian bookdealers in Vienna, Budapest, Munich and Amsterdam. The Internship Program will continue with another student from Moscow, who will go to Australia very soon. The ILAB hopes that many other young students and dealers will follow and that this is the beginning of a global "ILAB School" without borders, offering interns learning opportunities and experiences at any time in any place in the world. We asked an ILAB spokesperson for further information. Is there an application process? How do applicants get chosen? Applicants are chosen after they have contacted Norbert Donhofer, a member of the ILAB Committee and in charge of the ILAB Internships. He reports to the ILAB Committee, and if the Committee has found a reasonable number of candidates Norbert will organize the next class of interns. How are assignments to particular dealers made? If a dealer wishes to get involved to host an intern how is that handled? Norbert Donhofer and Eric Waschke, ABAC Past President and owner of the Wayfarer's Bookshop (Canada), contacted dealers who volunteered to get involved with the internship program. Of those dealers, a selection was carefully and individually made so that each applicant would have the opportunity to learn exactly what they needed to know. Alena and Anastasya, for example, worked at a Russian auction house, and Alena is writing a thesis on the history of ILAB. That's why Norbert Donhofer took care that they could work at a German auction house for a week and that Alena could meet past ILAB Presidents, Anton Gerits and Michael Steinbach, to learn about ILAB and conduct interviews with them. So, then, when there are new applicants, the dealers will again be chosen carefully and according to the knowledge and the experience the young book dealers wish to gain. How many ILAB internships per year? In 2011 there are three internships. Alena and Anastasya spent 4 weeks in Hungary, Austria, Germany and Netherlands. Another young dealer from Russia will go to Australia in autum 2011. Another three internships are fixed for 2012. Afterwards ILAB will assess the Internship Program's progress, and make corrections and improvements as necessary. Along with Rare Book School at the University of Virginia, Colorado Antiquarian Book Seminars at Colorado College, and California Rare Book School at UCLA, the ILAB Internship Program is fulfilling an important need. Uniquely, however, it provides an opportunity to those with ambition to enter the professional ranks of rare and antiquarian booksellers to gain invaluable, practical, hands-on experience out of the classroom and into the world. 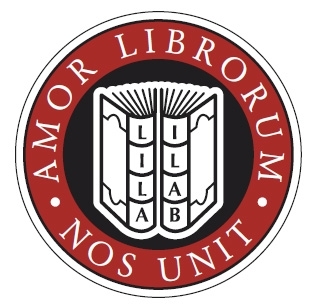 ILAB logo used with permission.